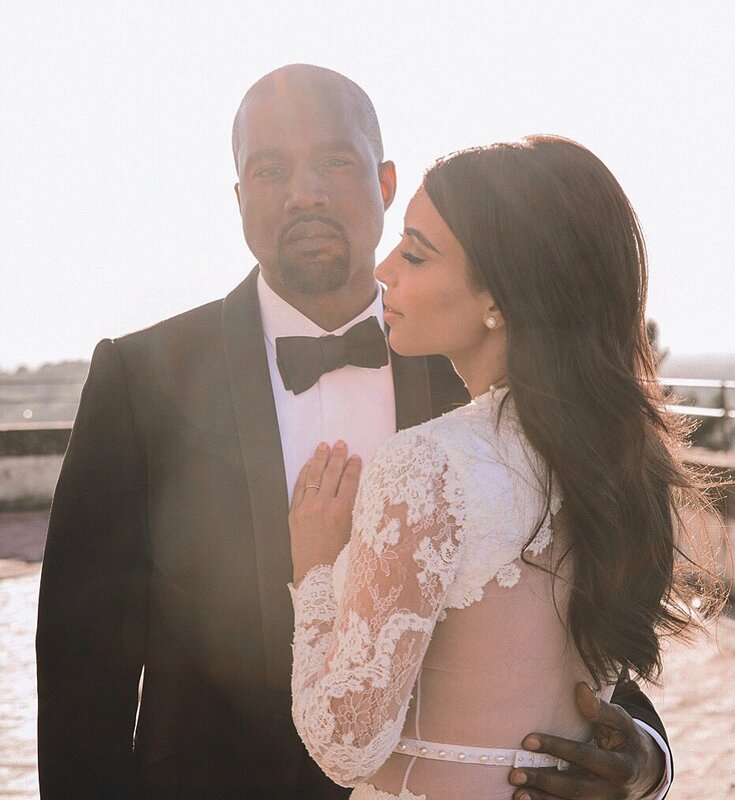 Kim Kardashian West and hubby, Kanye West, spent their weekend in the beautiful city of Rome. The happily married pair were there to support designer, Valentino and his work in the new Opera production La Traviata. Kim stunned in a white Vivienne Westwood gown with a high slit. She experienced a wardrobe malfunction by revealing her Spanx underneath the gown due to it’s high slit. Kanye West wore a stylish black suit.